On Saturday afternoon October 27 I will be hosting a Pinot Noir Wine Flight at the Wine House in Melbourne. 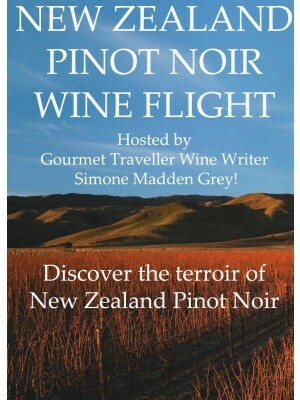 Come and join me as we trip around my beautiful home country sampling some of the fabulous Pinot Noir made there. It’s going to be a relaxed affair – you can taste at your leisure as we chat about the differences between vintage, region and sub-region. Interested? Book your tickets here. What a shot of the vineyards – and oh I like my Pinot Noir. Hopefully visiting a vineyard near Adelaide this April then heading to Melbourne for the weekend. Can’t wait. Maybe I can visit one of your events! ← Wonderful Waiheke Island and its wines!